Alternative rock trio Never Loved is gearing up for a busy spring. Following the announcement of their upcoming tour with Boys of Fall, the band has shared additional dates. Fans can catch them with In Her Own Words starting on March 15th in Los Angeles. 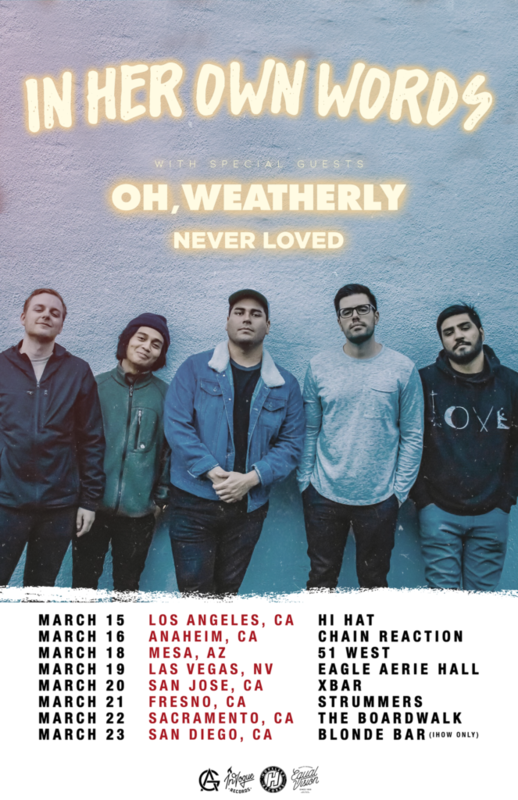 For a full list of Never Loved’s upcoming shows, please see below or visit: www.neverlovedmusic.com. Last year Never Loved signed with Equal Vision Records. The announcement came alongside the premiere of the band’s first ever single, “Dead Inside,” via Billboard. “Dead Inside” comes from Never Loved’s forthcoming debut EP, set to be released later this year. Hailing from the sunny shores of South Florida comes the alt-rock trio, Never Loved. With electrifying choruses & loud, gritty guitars, this three piece powerhouse is guaranteed to spark your inner adolescence. Keep an eye out for more to come as the band has recently signed to Equal Vision Records and is set to charge up your 2019 with their debut EP produced by multi-platinum producer, Matt Squire.